Here is a photo I took while driving on Interstate 93 near Dedham MA en route to Boston. 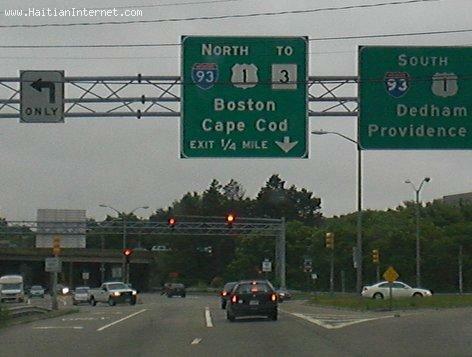 I used to be a Copier Technican in the Boston area, let me tell you, This spot right here, were I93 North merges with I95 south can be a traffic parking lot some times. Sometimes my beat-up 1988 Acura legend would overheat when I get stuck in traffic.